Security is important to us at The Anchorage Apartments, Mount Maunganui, and while Mount Maunganui is one of the safest holiday destinations on earth, we like to ensure our guests feel extra safe and sound. 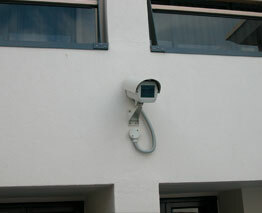 Our luxury apartment complex features surveillance cameras in all public areas. We also offer lifts with security swipe cards, and security keys for all rooms. Secure underground parking is also available, free of charge. If you have any questions about our security provisions, feel free to contact us here at The Anchorage Apartments.